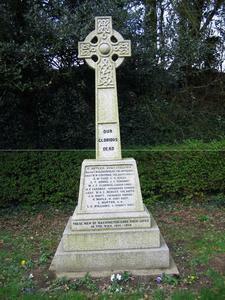 A Celtic cross surmounting a plinth and three-stepped base. 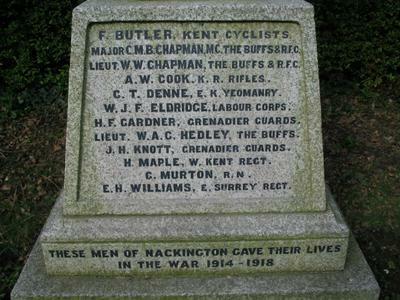 The dedication is written on the plinth and base in black lettering. Maintained, on a voluntary basis, by local resident Mr Harrison.